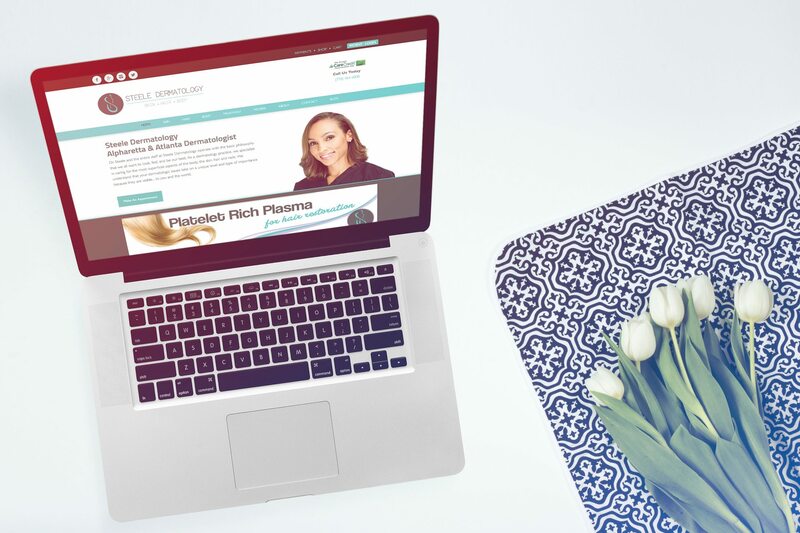 Dr. Chynna Steele had decided to go out on her own and create her own practice, but she knew she would need to be able to get new clients quickly and be found easily online. Getting new patients is always one of the hardest parts of opening a new practice (or any practice), and Multiverse was the perfect team to help. When Dr. Chynna Steele approached us, Steele Dermatology was merely a concept and she was at another dermatology office in Atlanta. She needed everything done: a new logo, color palette, branding scheme, a website, and some search rankings to go with it. She then opened Steele Dermatology in Alpharetta, Georgia, serving the greater Atlanta metropolitan area. After Dr. Steele’s branding and website were completed it was time to make sure her website could be found online so she could get new patients! How to go from nothing to 14 #1 rankings? When developing the website, we ensured that it exuded elegance and modernity, with sleek lines and contemporary color choices that attracted her targeted audience. Their team began selling skin care products early in 2016. 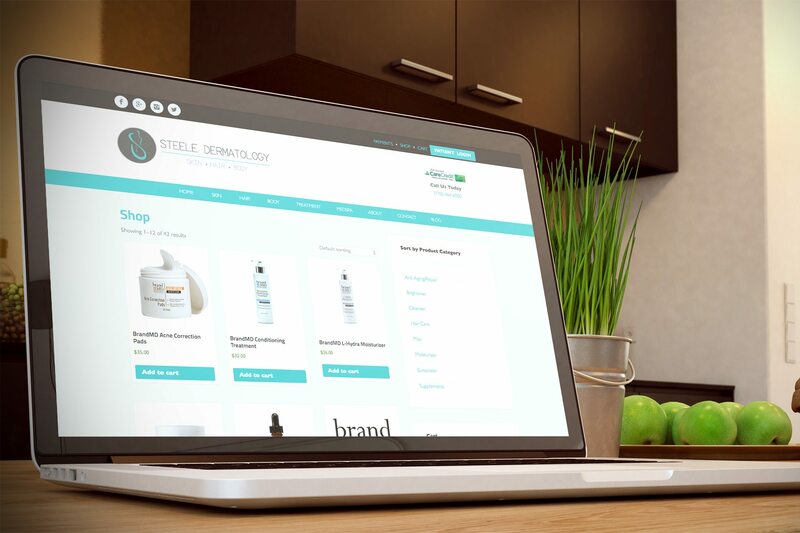 In order to elegantly show her products, we developed a full e-Commerce platform into the Steele Dermatology website. In order to push the website to the top of the relative keyword Search Engine Results Page, we implemented a content marketing strategy to boost their keyword value and intrigue her target audience. While we always recommend an organic SEO strategy, we also manage PPC campaigns. In this case, we were very successful in a very low cost-per-click for a highly competitive industry. 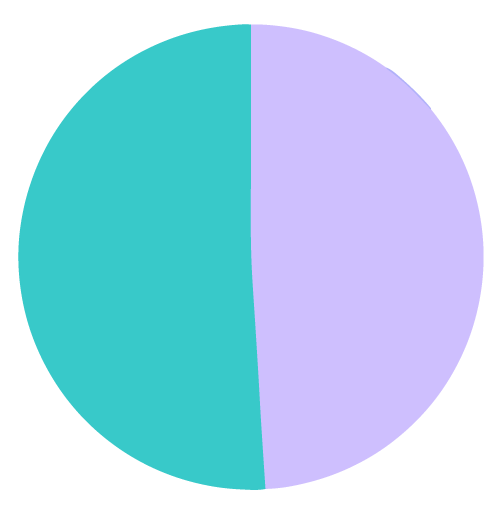 Over 50% of the website traffic is organic. Over 50% of the page’s total traffic is now generated from organic searches and 16.7% of traffic is generated from website referrals. In the span of a year, Steele Dermatology’s online presence went from non-existent to being one of Northern Georgia’s preferred dermatology offices. 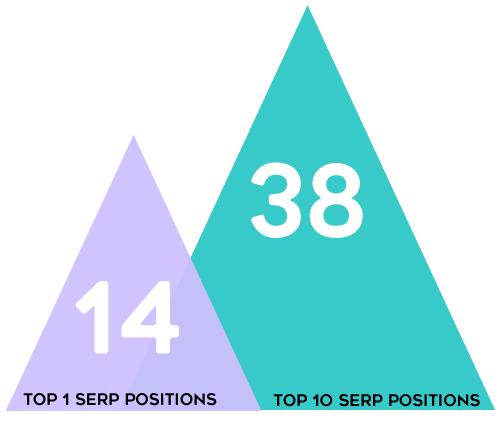 We have gotten her on the top position for 14 targeted keywords and keyphrases and she is on the top 10 positions for over 38 keywords and keyphrases!